All is wonderful in Bournemouth! Another good day has been had and the children have thoroughly enjoyed an evening on the beach. They are now back at the hotel, having a drink and biscuits and will soon be off to bed in preparation for their day in Bournemouth tomorrow. 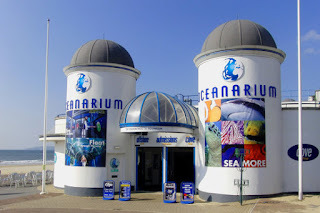 There are lots of things planned, including a trip to the Oceanarium, Crazy Golf, the amusements and lots more! This will be the last update today, we will be back with more updates tomorrow. Day 5 at Bournemouth - they are nearly here! Coffee Morning - Come and join us! Year 6 update - awayers and stayers!